At the beginning of the 2017-2018 season we had our 1995 Zamboni Model 440 inspected by our regional Zamboni dealer. The result of that inspection was and wasn't what we were expecting. This ultimately triggered some tough decisions that needed to be made which resulted in the pursuit of a new Ice Resurfacing machine. Our new Zamboni Model 446 is expected to be delivered ahead of the 2018-2019 season. We can't wait for that day to come and sharing it with everyone. Thank you again for all your support as this wouldn't be possible without you! 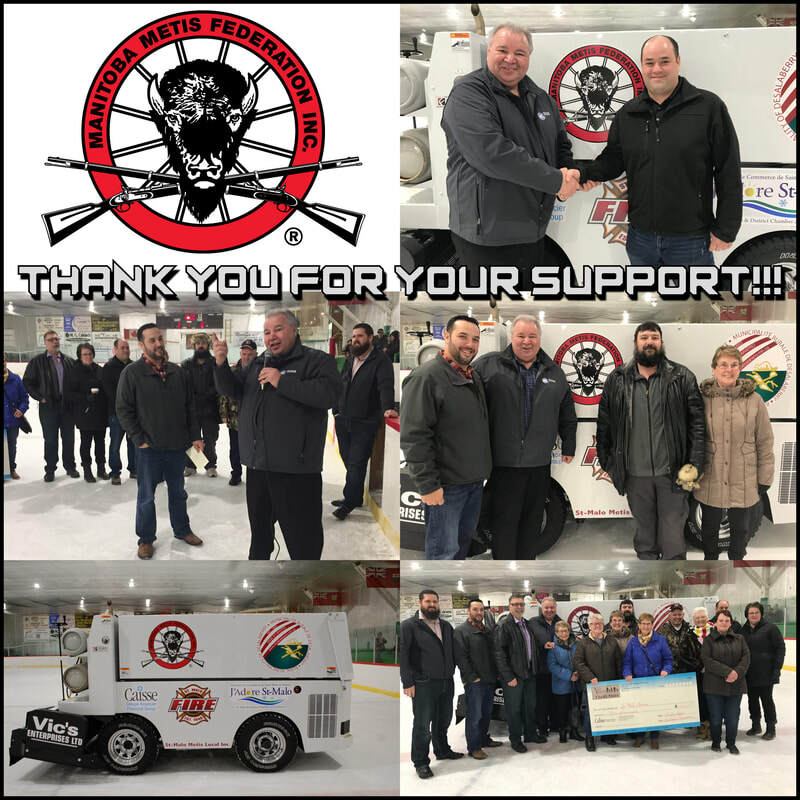 From the St. Malo Arena Board we would like to Thank You from the bottom of our hearts for your generosity and we look forward to working with you on future projects both within our facility and our community. With this funding along with the funding secured through our various fundraising events and funding previously received from organizations such as The Village Connection($10,000), Caisse Groupe Financier ($5,000), Province of Manitoba, St. Malo Fire Department, St. Malo Halloween Haunted House Committee, Vic’s Enterprise and St. Malo Métis Local inc. we are pleased to announced that we are over the 75% mark of our fundraising goal in just over 18 months!!! 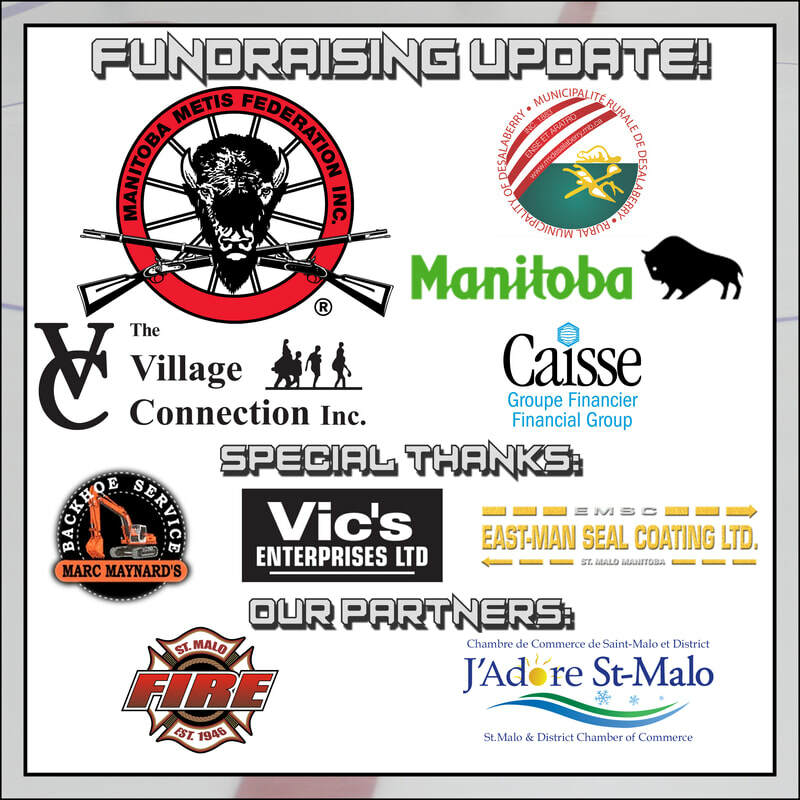 Special Thanks goes out to Marc Maynard Backhoe Service, East-man Seal Coating Ltd. and our partners (St. Malo Fire Department and St. Malo & District Chamber of Commerce). And finally last but certainly not least, a very big “Thank You” to past board members and the community of St. Malo for all of your support throughout the 45 year history of this facility. Thank You and we hope you all have a great spring/summer. We will see you at the start of the 2019/2020 season.